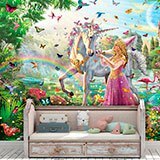 Wall mural Princess and unicorn in a magical garden. 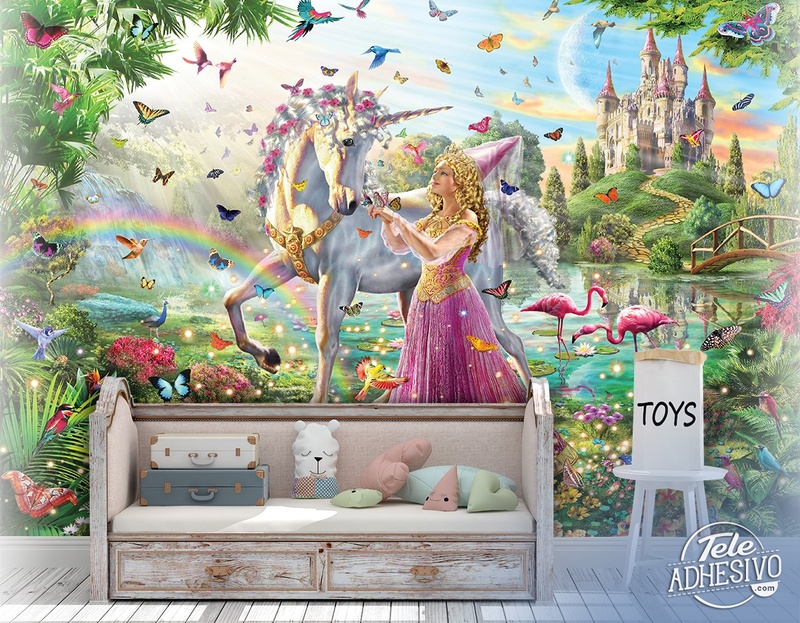 Amazing realistic illustration of a princess showing butterflies to a unicorn. 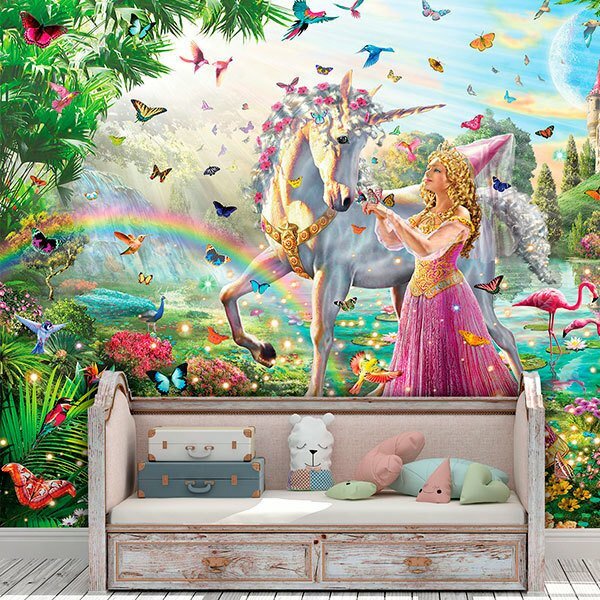 They are surrounded by colorful birds and butterflies. 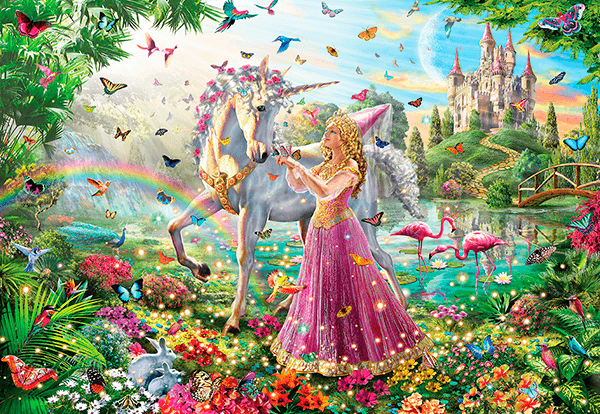 The magic garden has thousands of colorful flowers, and many animals. Above the mountain in the background is the castle.